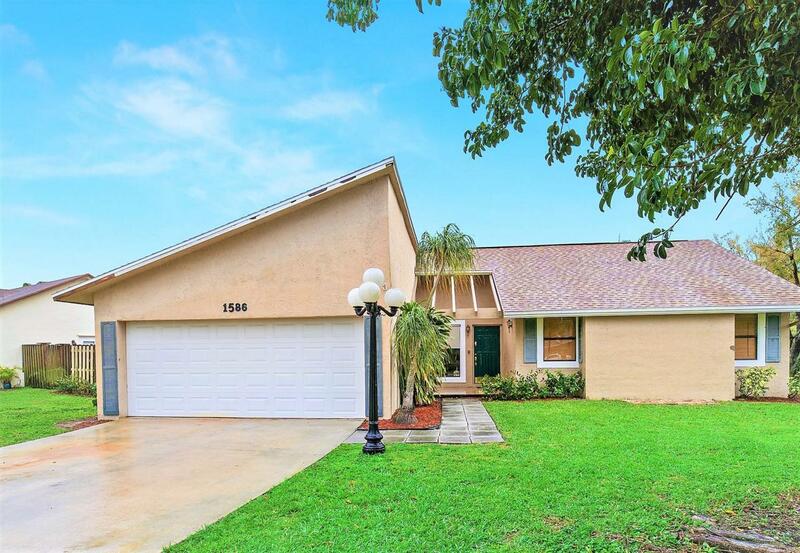 This beautifully renovated 3 bedroom plus den, 2 bath home with 1-car garage rests on a corner lot in highly desirable east Delray location with NO HOA. 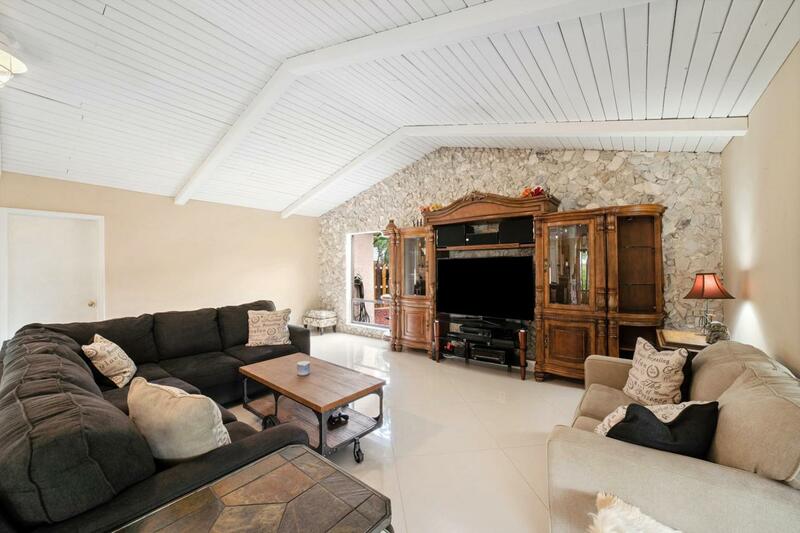 As soon as you walk in, you'll notice white wood planked vaulted ceiling, and a stone-accent wall in the family room. There is crown molding (2019) and stunning new (2017) oversized tile flooring throughout the home. The eat-in kitchen is equipped with beautiful granite, light wood cabinets, Samsung stainless steel appliances, a pantry closet and breakfast area. 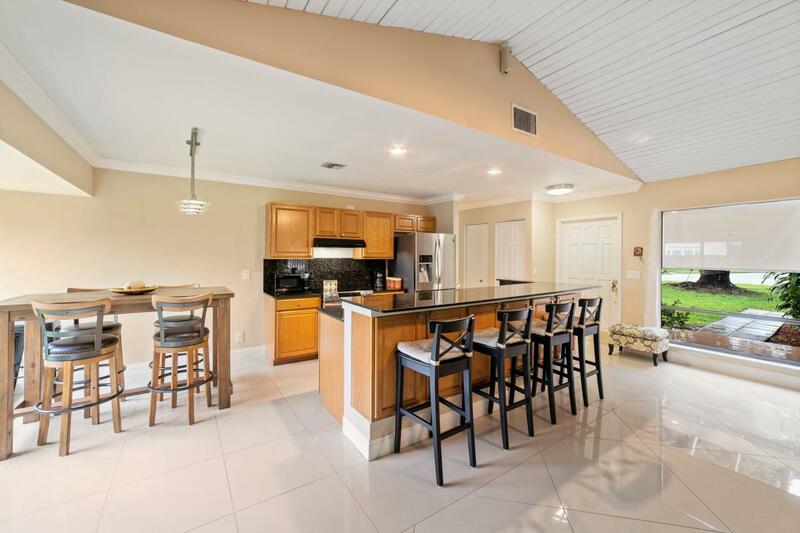 The kitchen conveniently opens to the family room, and it is just steps away from sliding doors leading to the screened lanai. The master bedroom features a walk-in closet. The guest bathroom has been remodeled and is finished with a beautiful granite top vanity and the walk-inshower with wall tile and decorative tile trim. A separate den with closet has been converted from one half of the 2-car garage. There is a separate laundry area. This home offers lots of storage space, including the shed in the backyard. 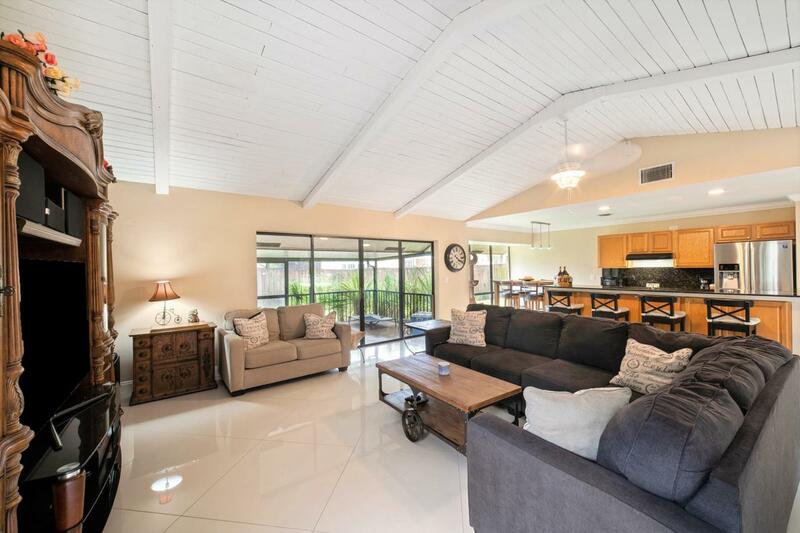 The large screened covered patio is fantastic for relaxing and hosting a BBQ party. The roof was replaced in 2017 and the AC unit in 2014. Garage is now a workshop, but can easily be converted back. The home is just 1.9 mile away from the beach, minutes from I-95, and is also conveniently located close to many shopping and dining places. Take a quick ride to fun Atlantic Avenue in downtown Delray Beach featuring many wonderful restaurants and shops. All measurements are approximate. Please make sure to check out our 3D virtual tour / walk thru!